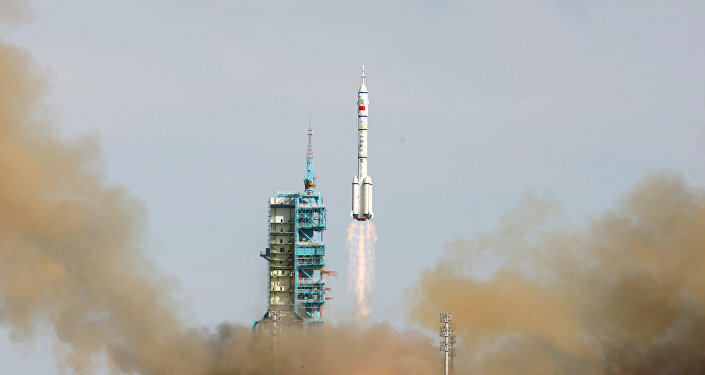 The China National Space Administration (CNSA) has been setting the stage for a number of remote lunar operations, launching the Queqiao communications satellite to an orbit on the far side of the moon this past May and planning out its new Long March 9 heavy lifting rockets. Now, the space agency is ready to take the next step by sending the Chang'e-4 probe to Earth's natural satellite. The lander and rover will launch on Saturday from Sichuan's Xichang Satellite Launch Center and arrive at the moon before the year is out, the Standard reported. ​The probe will attempt to land in the Von Karman crater in the moon's southern hemisphere, close to its South Pole. Upon arrival, Chang'e-4 will become the first human craft to land on the far side of the moon, which never faces the Earth. Spacecraft have orbited the moon and taken photos of its dark half, but never landed there before. "This mission is definitely a significant and important accomplishment in lunar exploration," Carolyn van der Bogert, a planetary geologist at the University of Münster in Germany, told the Standard. According to NASA's National Space Science Data Center, the lander and rover are both based on the probe's predecessor, Chang'e-3, carrying an array of cameras, a Visible/Near-Infrared Imaging Spectrometer and Lunar Penetrating Radar. The rover will also carry a device called the Advanced Small Analyzer for Neutrals, which will examine the interaction between solar wind and the lunar surface, according to the Swedish Institute of Space Physics, which manufactured the device for CNSA. Other tasks for the rover will include measuring the mineral composition of the stellar body, conducting radio astronomy experiments and investigating if and how plants can grow there. Chang'e-4 was never actually supposed to go to the moon, Sputnik reported earlier this year, but the failure of Chang'e-5's rocket engine last year bumped it up for this mission, with CNSA hoping to put Chang'e-5 on the moon next year, when it will return lunar samples back to Earth. Following Chang'e-4's mission will be probes to the North and South Poles of the moon — also firsts for humanity — and hopefully human visits by the end of the next decade, according to Li Guoping, director of the Department of System Engineering at CNSA.